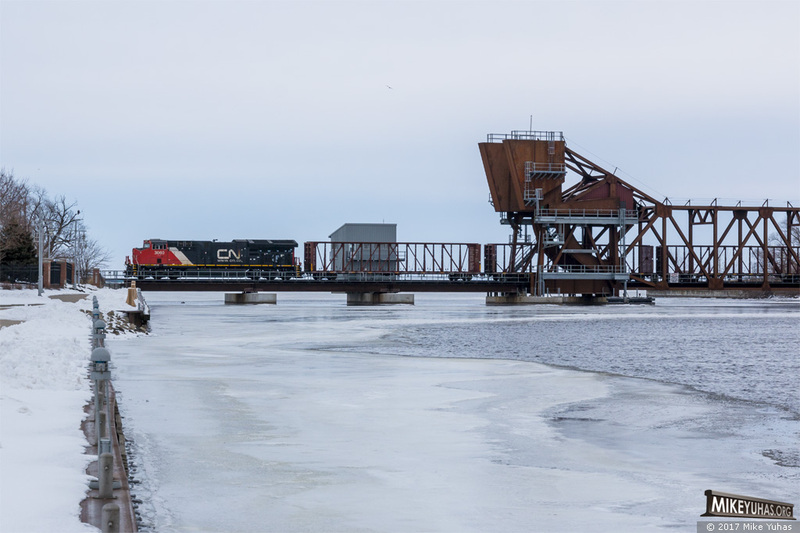 A bald eagle perched on yonder tree has a terrific view of Canadian National train M347 crossing the Fox River in Oshkosh, Wisconsin. The train consists of a head-end locomotive, empty centerbeam lumber flats, and a distributed power unit on the rear. Train markup: CN ET44AC 3060, 0 loads and 120 empties; DPU CN ES44AC 2889; 3,725 tons; 9,705 feet.